Daily Debate: What Would Happen if Link was Able to Drink in Breath of the Wild? 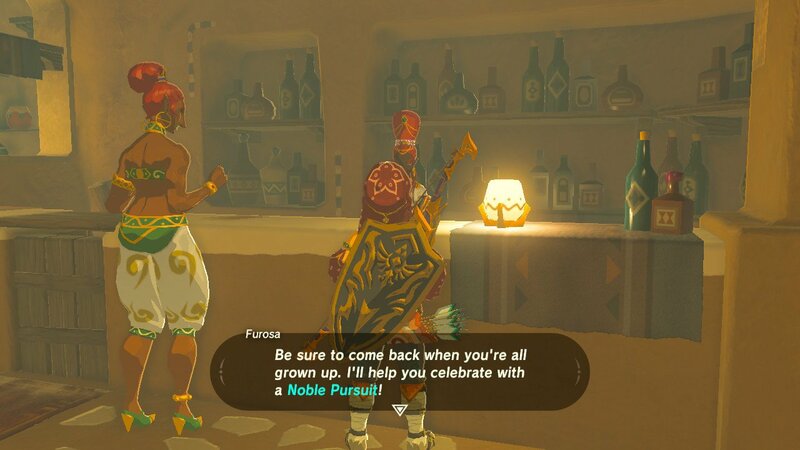 One cannot deny that, after walking into the Noble Canteen in Gerudo Town and promptly getting turned down for a beverage, poor Link probably felt rather disappointed, to say the very least. I mean, come on, he literally just saved you all from a rampaging monstrosity of ancient technology; doesn’t he deserve, like, one beer? Then again, though, would it be wise to serve him? He’s on an adventure, a quest to save the land and its beloved princess. And alcohol definitely has some interesting side effects. So, how do you think Link would handle his drink? Would he be the kind to think himself unstoppable, climbing to new heights and valiantly taking on beasts and monsters that he normally avoided? Maybe he’d find within the drink the Courage of his past iterations, and decide it was high time to take on Ganon. On a similar thought train, how would it affect game play? Health, screen clarity, movement and reflexes, weapon-wielding ability? Could his number of hearts determine how many drinks Link could handle? Would you, the player, stop after one, or would you suffer Link to total annihilation before taking on the trials that yet wait? To be honest, it could definitely add a fun, albeit challenging twist to the game! What do you think? What would happen if Link could drink in Breath of the Wild? Let us know your thoughts in the comments below! This Daily Debate was inspired by @Skip#7785 on Discord. If you have an idea for a Daily Debate that you would like to see explored, join Zelda Dungeon’s Discord server and pitch it to us in the #daily-debate channel!